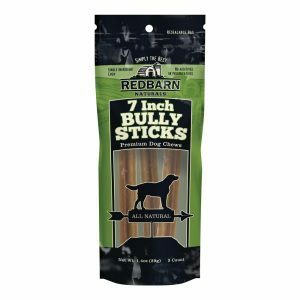 Redbarn Pet Products is voluntarily recalling their 7-inch Bully Sticks because the dog chews could be contaminated with Salmonella. According to the Food and Drug Administration, Salmonella can affect animals eating the products and also humans handling the contaminated products who do not thoroughly wash their hands. Pet owners are encouraged to check the lot code on their dog chews at home to see if their product was affected. If so, they are urged to discontinue using the contaminated products. Those who purchased 7-inch Bully Stick multipacks with the affected lot code are urged to return them to the place of purchase for a full refund. Consumers with questions may contact the company via email at info@redbarninc.com or by phone at at 1-800-775-3849, M-F, 8 a.m. - 5 p.m. PST.